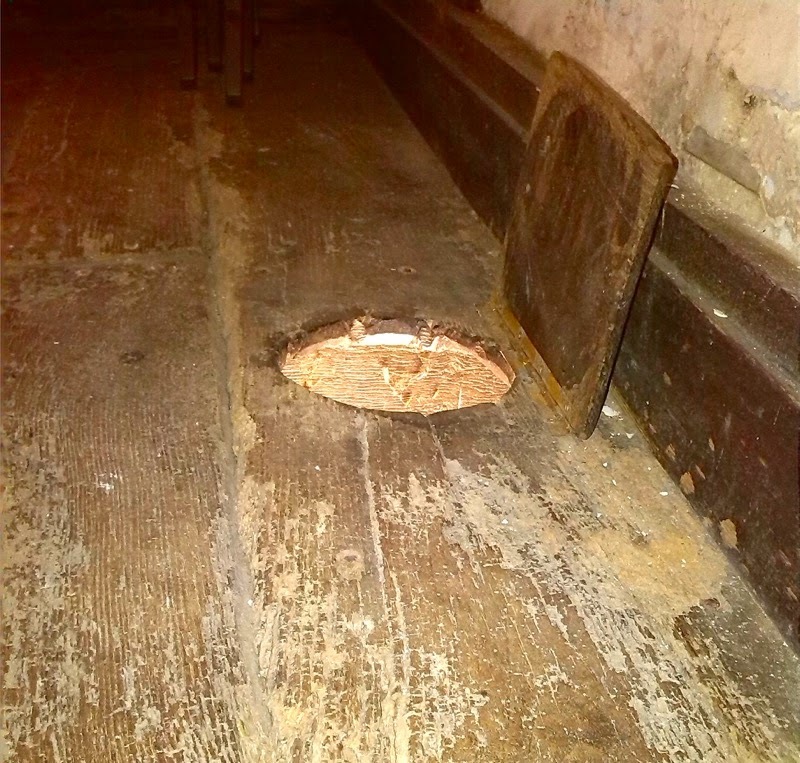 Two pubs, a church and a sixteenth century town hall. 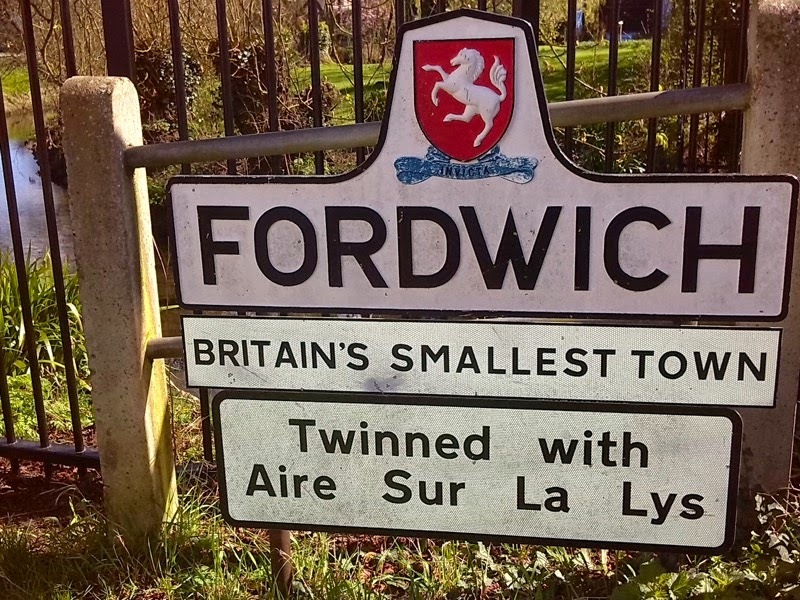 Welcome to Britain’s smallest town. Did I mention it has two pubs? And a population of only 381. Its tiny town hall has a jail, which is stuffed full of hair-raising medieval mementos from the days when it was OK to treat criminals badly. Located on the picturesque banks of the river Stour, about three miles from Canterbury in Kent, South East England. Map. FORDWICH IS A gem of a place. Not only is it uncontaminated by much in the way of commerce, it is also blissfully free of the ubiquitous ‘ye olde coffee shoppe’ cafes that are usually found in every small village/town in Britain. If you want a coffee you have to go to a pub. If you want to eat…the other pub. There really is very little here except history, alcohol and beautiful riverside. Which covers all the important bases for a great day out. 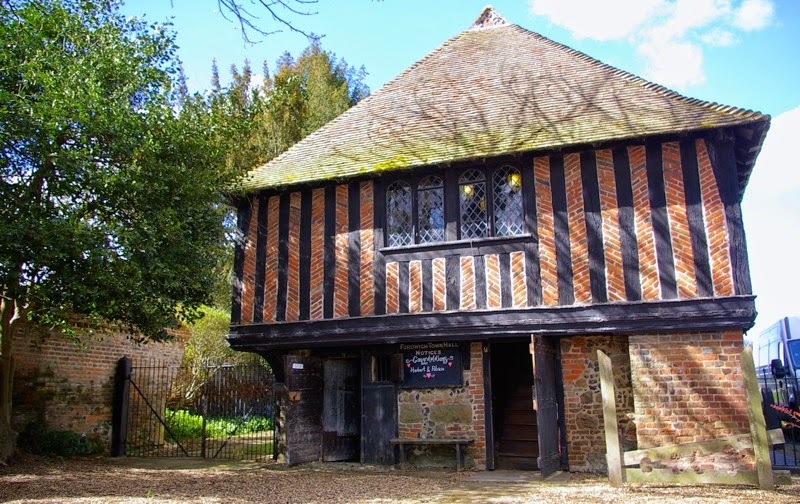 Wandering around the town streets you will see two blue plaques commemorating ‘local people done good’ as well as fine Kent Oast houses turned into beautiful residences. When you tire of the hustle and bustle (!) you can take a leisurely walk along the river. Or maybe hire a canoe from the only commercial enterprise in town to explore the river more intimately. St Mary’s Church - dating from the Norman period but redundant since 1995 - has a wealth of interesting artifacts, the most famous of which is the Fordwich Stone, dating from AD1100, which is tantalizingly rumoured to be part of the shrine of a saint (perhaps even St Augustine, the first Archbishop of Canterbury). 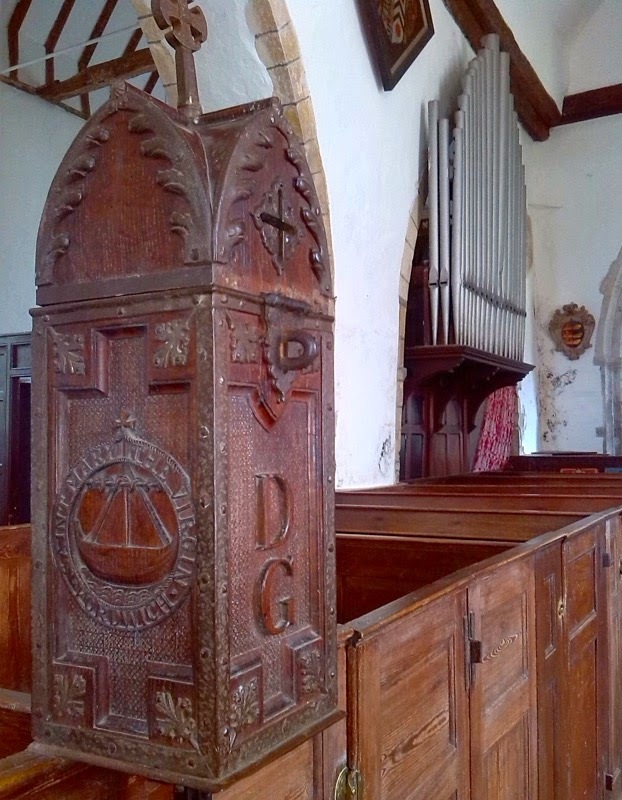 Rare box pews and a beautifully carved collection box provide plenty for the amateur carpenter to enjoy. Hey you, show me the money! There are some ancient and wonderfully spooky gravestones in the graveyard. Make sure to check out the ones on your left before you enter the church. The cheerful tombstone of Henry Brown. The Town Hall was built during the reign of King Henry VIII in 1544 (though Forwich’s list of mayors dates back to 1292) and is still used for town meetings and weddings, although, like the church, it is only open to the public on certain days throughout the year. The Town Hall. Or maybe Hamlet hall would be more apt. It comes with its own stocks (always good for an amusing photo op) and a jail which was last used in 1855. On display inside are a selection of implements that make you glad you live in the modern era; a police officer’s brutal truncheon, a branding iron for use on the felons’ foreheads and a very basic loo. 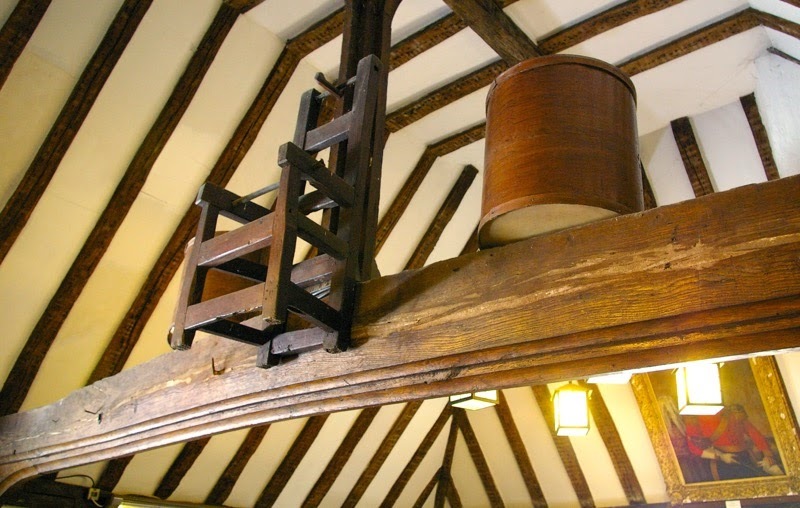 There are also two dunking chairs that were used to punish women who gossiped or nagged their husbands! Watch what you say, ladies! Up until the Middle Ages, an arm of the North Sea used to stretch as far as Fordwich which made it the port for Canterbury. It was here that all the Caen stone used to build Canterbury Cathedral was unloaded. 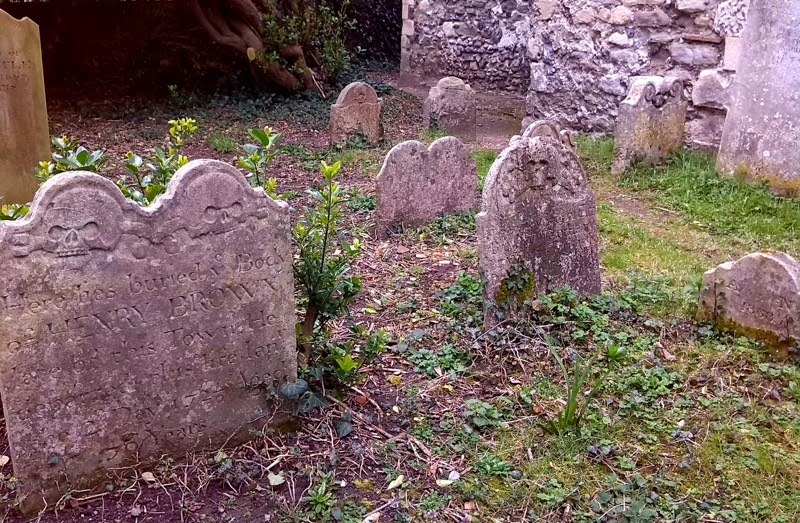 That heyday is long since gone, but once a year a special service is held at St Mary’s Church when all the local dignitaries attend and relive the glory days – before adjourning to one of the pubs. If you visit Fordwich on New Year’s Day you may want to voluntarily dunk yourself in the river by taking part in the River Stour dip. Dunking chair optional, wet suit recommended, bacon sandwiches provided….at the pub. Getting there:The closest train station is Sturry which is served by the London St Pancras High Speed rail link (about 1 hour and 15 minutes from London). Fordwich is a fifteen minute walk from the station. Oast houses were originally used to dry the locally grown hops used in the beer making process. Kent was famous for its hops and now the landscape is strewn with redundant Oast houses converted into beautiful homes.